Post news Report RSS	Vote for "One Small Fire at a Time" on Steam Greenlight! 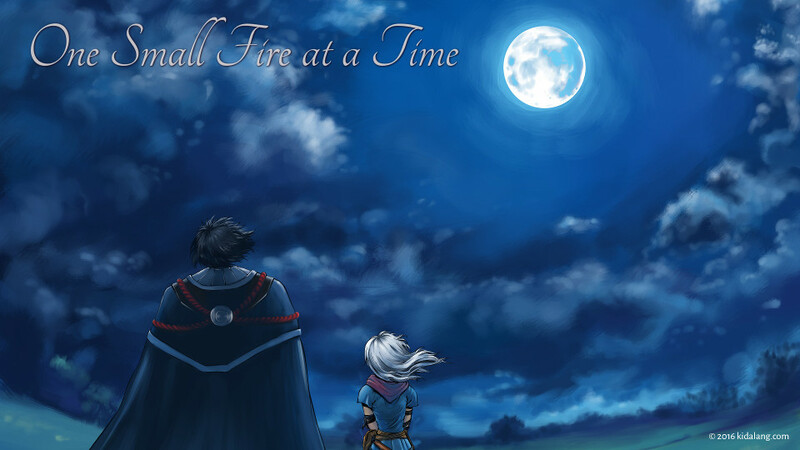 One Small Fire at a Time is now up on Steam Greenlight! Please vote for us! If this is the first time you’ve heard of the game, One Small Fire at a Time is a prequel to the visual novel that we released last year, An Octave Higher. It tells the story of Janis, a 13-year-old girl who is considered mentally ill because she can’t use magic. If you want to know more about the game, watch the trailer embedded below and visit the official web page at kidalang.com/onesmallfire. We’re working with Culture Select to publish One Small Fire at a Time on Steam and other storefronts. Even though they’re still a new start-up, they’ve had two games greenlit on Steam, so we’re very excited to be working with them. Furthermore, Culture Select is also localizing One Small Fire at a Time into Spanish, so that’s something Spanish speaking visual novel fans should look forward to!